The Mystic high end Diva wetsuit revised again delivering ground breaking tech to keep in warmth and hold the flag against the mighty English winters! Featuring stretch taping, 100% M-Flex 2.0, ultra lightweight foam and Aquaflush with a reinforced chest panel for extra insulation, the Diva is a super soft and flexible, super lightweight and most importantly a super warm, tech filled 5/3 winter wetsuit ready to keep you from the cold! The Diva features Mystic's M-Flex 2.0 which offers a super stretchy and remarkably soft touch neoprene. With more flexibility this wetsuit provides a better fit and a superior seal over your body; keeping the hot water in and the cold water out. Being a front zip entry, getting the Diva on and off may prove to be difficult at first but having this front zip entry adds to a far better overall seal keeping the hot water in and the cold water out! 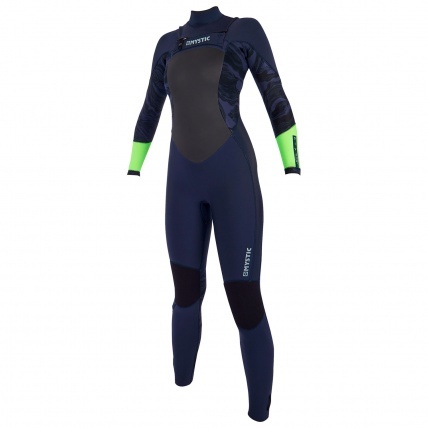 Quality wetsuits are not to be thought of lightly during the colder seasons, take it from us. Having a quality wetsuit could be the difference between enjoying the sport you take part in or not and could also involve your health to certain conditions. 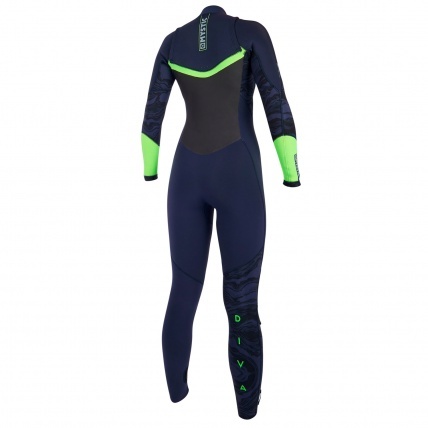 If you need a seriously quality wetsuit to last you through the seasons for wakeboarding at the cable or for kitesurfing then we can't recommend the Diva enough. Keep everything toasty warm this winter and the next in the Diva. Mystics most flexible, stretchy and super soft neoprene in the range. Because those who challenge the cold need it. The Diva uses polar Plush lining in the core areas to trap and reflect heat resulting in a toasty warm and steamy wetsuit. Mystic's double front zip entry creates a superior seal around your body to keep the warm water in and the cold out.